The final ruling came after the initial decision made by a lower court. The dispute arose when PETA sued Slater in 2015 – doing so, they claim, on behalf of the monkey. PETA allegedly disagreed with Slater profiting from the images since the monkey had been the one to press the shutter and thus was, in theory, the copyright holder. 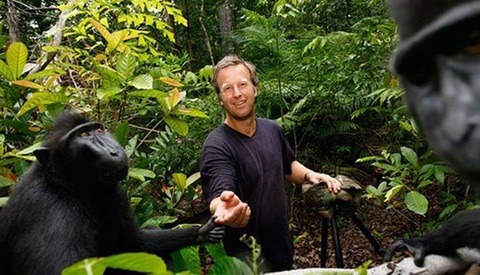 The opposing sides reached a settlement last year, which in part saw Slater agree to donate 25% of his profits from the photos to charities to protect the monkeys featured within the photos. As we reported, this was rejected by the courts who seemingly wanted to affirm a “legal precedent” for any similar cases that may emerge in future. Now, it has been decided: animals cannot file copyright lawsuits. The court also criticized PETA, questioning their intentions and suggesting they used the monkey for their own personal gain. […] PETA appears to have failed to live up to the title of “friend.” […] [I]n the wake of PETA’s proposed dismissal, Naruto is left without an advocate, his supposed “friend” having abandoned Naruto’s substantive claims in what appears to be an effort to prevent the publication of a decision adverse to PETA’s institutional interests. Were he capable of recognizing this abandonment, we wonder whether Naruto might initiate an action for breach of confidential relationship against his (former) next friend, PETA, for its failure to pursue his interests before its own. 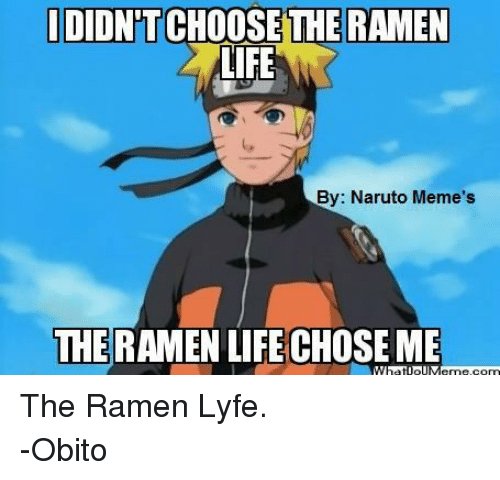 Puzzlingly, while representing to the world that “animals are not ours to eat, wear, experiment on, use for entertainment, or abuse in any other way,” PETA seems to employ Naruto as an unwitting pawn in its ideological goals. What PETA failed to realise is that actuating a shutter release does not make one a creator. I wish the courts took the time to settle that one. It was already obvious that a non-human cannot hold copyrights, and I am glad that the higher courts took the time to establish legal precedence by interpreting the law to mean that non-humans have no copyrights, as was clearly stated within the law in no uncertain terms, but legal precedence is mostly meaningless. The existence of precedence does not mean one is in the wrong or right, and the lack of precedence does not mean that either. Nope. don't blame them for leaving money on the table; just for ruining a man's career for a paycheck. 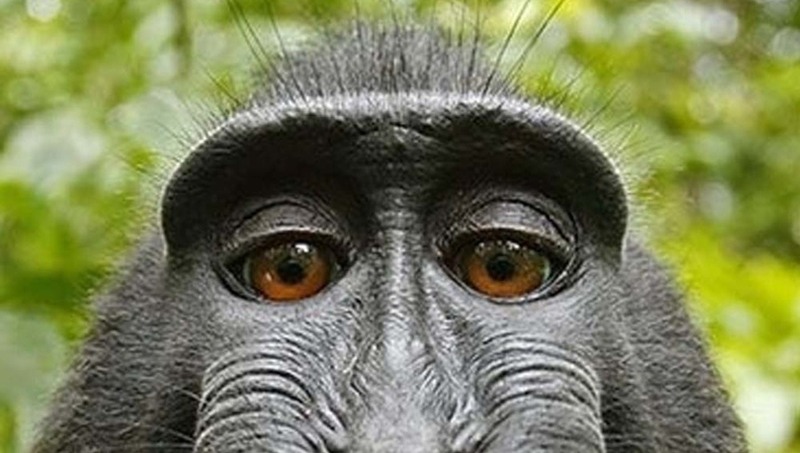 Unless the monkey peed on the image, it doesn't own the image. Anyone in the jungle can tell you that. Why did this take so long? Also they named the monkey Naruto? lol Epic. BELIEVE IT!! Because a good precedent needed to be set! Without it we will still have idiot orgs like PETA asserting rights that belong to "US". A necessary exercise, though costly for the tax payers. Good to see that commonsense prevailed but let's hope that it's not overturned in appeals. The Slater, the Copyright holder recover legal fees and profit from his works. I think the court also said that no copyright exists for this image, so nobody really wins here. The courts never said that. 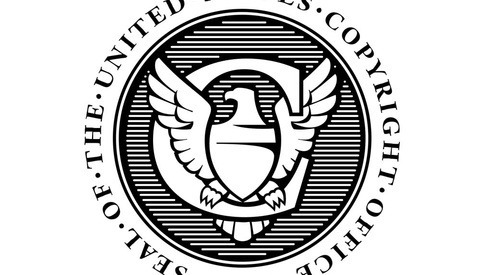 The US Copyright Office said that an image in which the author is an animal, such as a painting made by an elephant or a photograph made by a monkey, is not copyright-able. No courts nor the US copyright Office ruled that this particular photograph has a monkey as the author. That assertion was strictly made by Wikimedia, which has no legal authority to do so. As far as I see it, Slater still holds the copyright, and Wikimedia no longer has my financial support. That being said, legal precedents are not invaluable. Why do you think PETA was pushing so hard for this? They wanted the legal precedent in favor of their own cause. The thing I took away from the podcast and this whole ordeal is not that the monkey took the actual picture, but that the photographer was already setup trying to get a similar shot. If the circumstances were such that the monkey setup the camera, lights, etc and then pressed the shutter button - I think we would have to re-evaluate the precedent. Since 99% of the work of getting this shot was done by Slater and prior to Naruto coincidentally pressing the shutter button I have to agree with the decision the courts made. PETA is loosing credibility (or what is left of it). The animal cause is too important to be left in the absurd hands of this organization. If you've kept track of PETA for any length of time you would know that ultimately their goal is for animals to have the same legal rights as humans. This was an important step for them. Ultimately, they would like the consequences for killing and eating an animal to be the same as killing and eating a human. The same goes for pet ownership or as they would likely call it; slavery. I'm not prone to hyperbole or conspiracy theories. This is exactly what they want. The Humane Society of the US has similarly crazy goals when it comes to pet ownership. They frequently push for legislation all around the country to ban breeding of animals by people of various levels of expertise. In some places, thanks to the hsus, you cannot breed your own pets without a special license which isn't easy to get. In other places they've managed to outlaw commercial breeding. In other places they've managed to outlaw breeding of animals by a medium sized business. Well, if it can't be done on a small scale, large scale, or medium scale, what's left? What they are lacking at this point is widespread adoption of these laws as well as overlap. But it is certainly their intention. They've also tried to get mandatory spay/neuter laws passed and I believe that they've been successful in a few places though I could be wrong. I still am in disbelief that this was even a thing. The amount of time and money wasted here is unreal. They should have slapped PETA with punitive damages. This case really should have been thrown out for the massive joke that it, and PETA, is.